San Jose newborn photographer • so sweet and tiny | gooseandbugsphotography newborn baby and child PhotographyCustom children's photography, specializing in newborn portraiture, on location in San Jose, Ca and the surrounding Bay Area. ← san jose baby photographer • who’s cute? This entry was posted in newborn and tagged baby photographer, bay area baby photographer, bay area multiples, bay area newborn photographer, bay area photographer, bay area twins, multiples photographer, newborn twins, san jose baby photographer, san jose child photographer, san jose multiples, san jose newborn photographer, san jose twins, twin photographer, twins | Bookmark the permalink. How adorable!! I love that little tiny arm stretched over. So sweet! Gorgeous!!!!! What precious babies! You captured them beautifully, Leandra! Beautiful…so tiny and perfect. Nicely done Leandra! Beautiful images! Love the posing of them hugging each other. So sweet! Nice to see you back at it! Leandra – you truly are amazing! 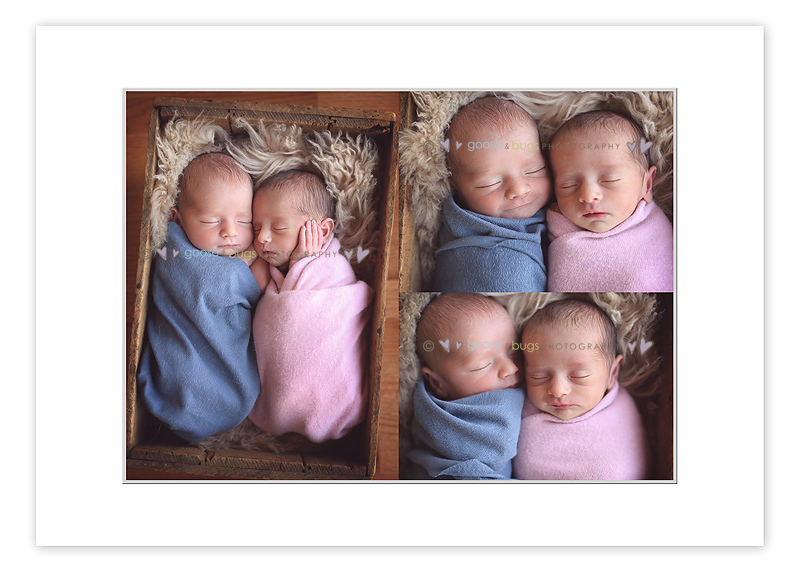 I love these pictures of my little ones and I can’t wait to see the others! THANK YOU again for being able to fit us in on such short notice, having these pictures mean so much to me – and I owe it all to you! Thanks a million!! Wow Wow Wow. I love the little girl’s elbow dimple 🙂 Such tiny little cuties! Oh, how precious!! I love the last three!